AL50 is a tubular aluminium balustrade system with “thick wall” balusters which enable a much wider spacing giving the design a more “open feel”. The AL50 aluminium balustrade can be used for interior or exterior applications but powder coating is essential for all exterior applications. Much lighter than steel, aluminium is easy to handle and cheaper to transport. Aluminium is renowned for its corrosion resistant properties, which have seen it used for a range of applications. 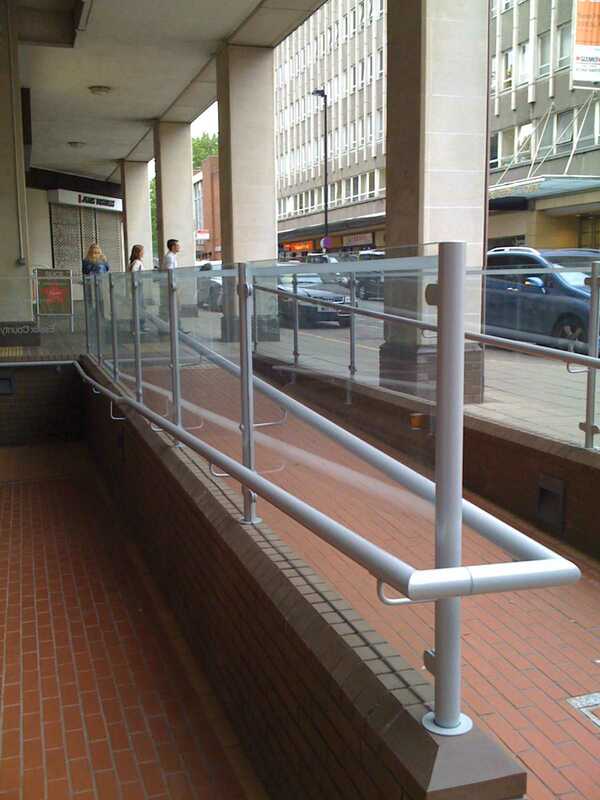 SteriTouch an anti microbial additive can be added to the handrail coating. This provides an effective barrier against bacteria and hand borne germs such as MRSA, Ecoli and Salmonella. This protection is becoming increasingly demanded by specifiers and facilities managers working within heavily trafficked areas such as healthcare environments. Handrails that incorporate the SteriTouch additive are available in a range of colours and are unaffected by cleaning chemicals. Even distribution during the coating process ensures that the anti microbial performance is not affected by scratches, abrasions and normal wear and tear associated with care environments. 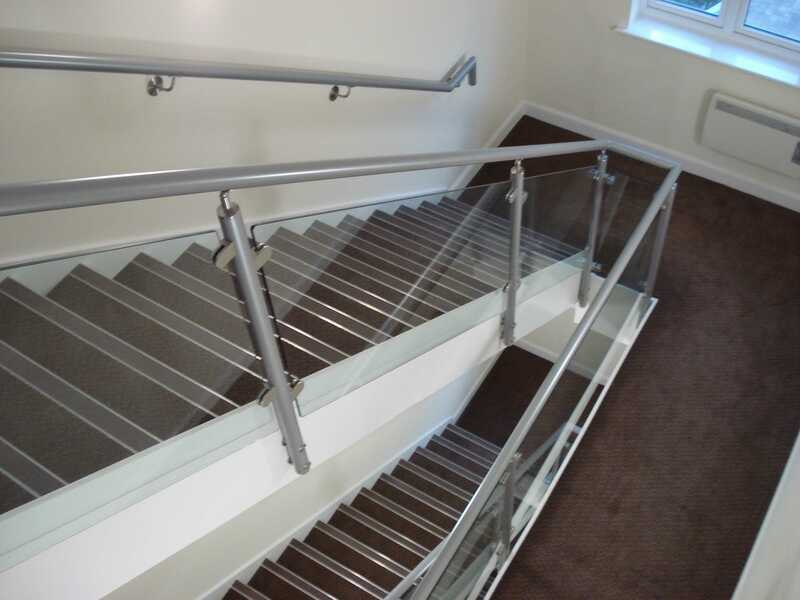 When the “SteriTouch” antimicrobial powder coating is applied, AL50 aluminium handrails are ideal for surgeries, medical centres, care homes, in fact any application where hygiene is importan. 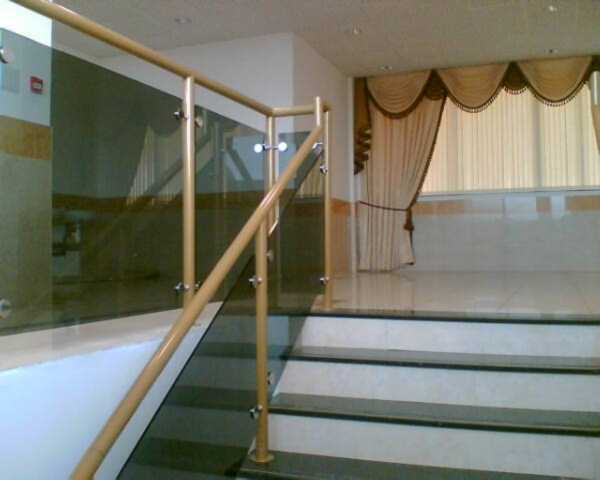 Handrail: – is 50 mm or 44 mm finished diameter. Balusters (posts): – are 50 mm finished diameter with a “thick wall” generally enabling spacing to be up to 2 metres apart. Infill Panels: – a choice of glass, perforated metal sheet, stainless steel or powder coated “running rails”, or stainless steel wire. Surface Finish: – Bright polished or satin finish, clear lacquer, powder coating in a wide variety of colours or “SteriTouch” hygienic powder coating in a range of colours. 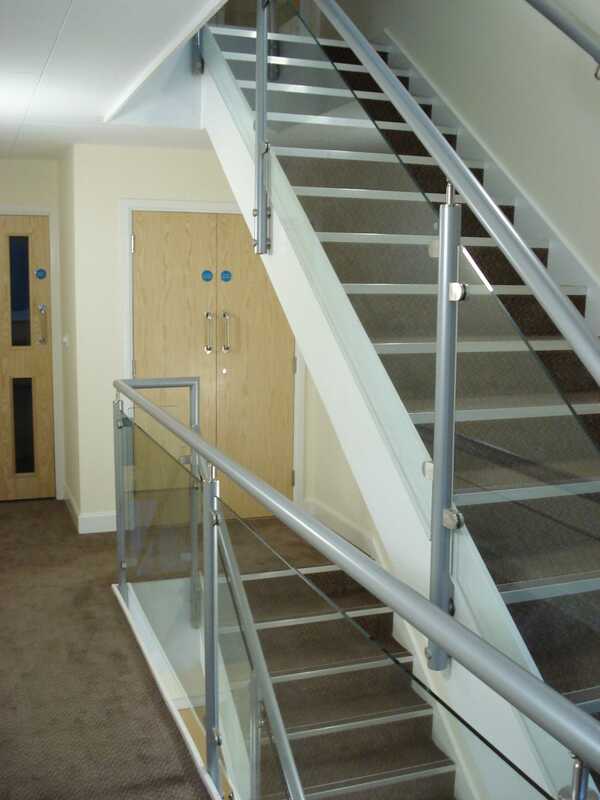 Applications: – Staircase balustrade, handrails, balconies, viewing galleries and with the hygienic coating AL50 is ideal for surgeries, medical centres and care homes. 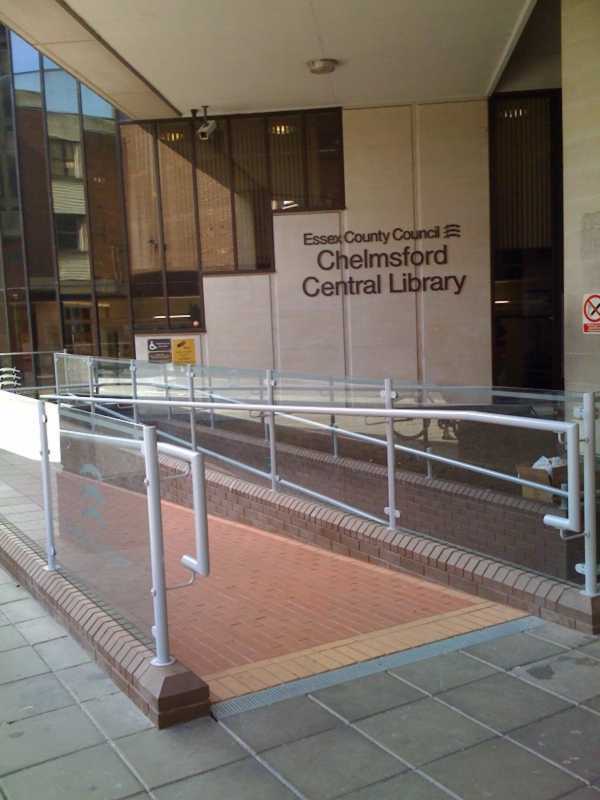 The AL50 Aluminium balustrade system is ideal for commercial applications such as staircases balconies and viewing galleries. It is also suited to medical applications if the SteriTouch powder coating is applied.